This rather cool looking little bin is part of a collection of Sort & Go bins from Brabantia. It is perfect for disposing of organic waste right on your counter top. 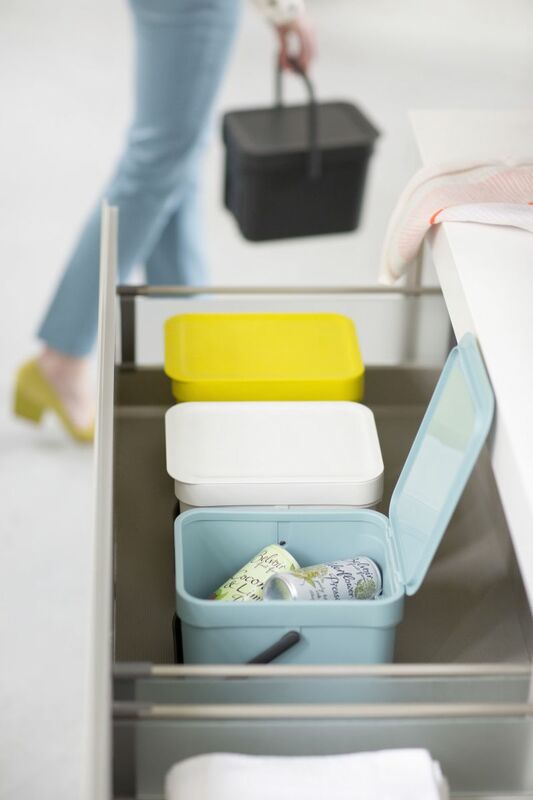 The sturdy handle means you can move the bin easily, and its size means it can be stored in a kitchen cupboard or drawer as well as on the countertop, floor, or on stacked with other Brabantia bins.